Enforcement agencies have arrested 53 people in connection with buying and selling counterfeit euro banknotes on Darknet marketplaces. The Europol-coordinated operation, carried out by seven EU member states – targeted traders and their customers selling fake banknotes on sites such as AlphaBay and Hansa Market, two notorious Darknet sites that were both taken down earlier this year as part of a clampdown on illicit trade. Last year, an Italian enforcement operation resulted in eight arrests and identified hundreds of counterfeit euro purchasers who used Bitcoins to buy notes. 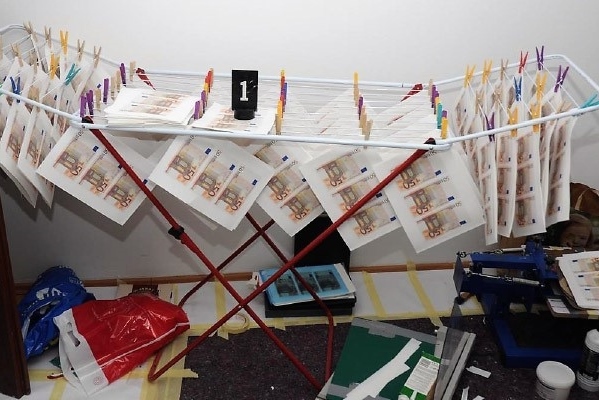 And in February, the Austrian authorities dismantled an illegal euro banknote print shop in Vienna and arrested one person. The data retrieved in the latter case mainly related to illegal euro banknote counterfeiting on the Darknet, prompting the latest operation. The EU member states involved in the successful joint action day were Austria, the Czech Republic, France, Germany, Greece, Slovakia and Spain. Along with the 53 arrests, 2,049 counterfeit euro banknotes were seized during 77 house searches across Europe. "The excellent results of the joint action day prove that anonymity on the Darknet no longer exists," said Europol in a statement. "By acting together the European law enforcement community, coordinated by Europol, has sent a clear message that we have the means to identify criminality and strike back, even in areas of the Dark Web."